If anyone better than me at Photoshop (i.e. anyone) wants to take a stab at making a prettier version of the brackets that either they or I can update as we go along, that would be cool. Also, let me know if anyone notices anything wrong (like the same game appearing twice or something), so I can fix it before we start voting. 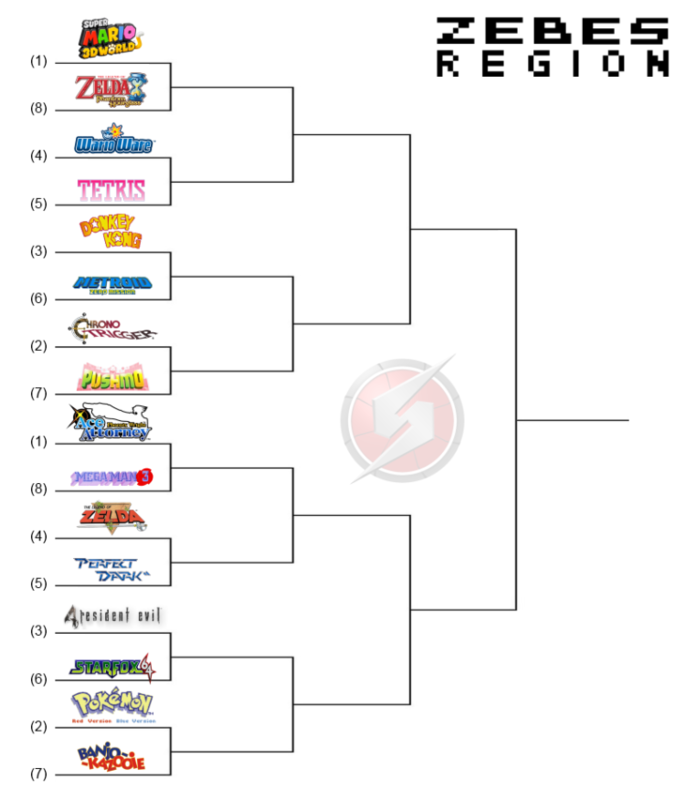 I'm thinking that we will vote by region with post votes only and no polls, but I'd be willing to hear other suggestions. 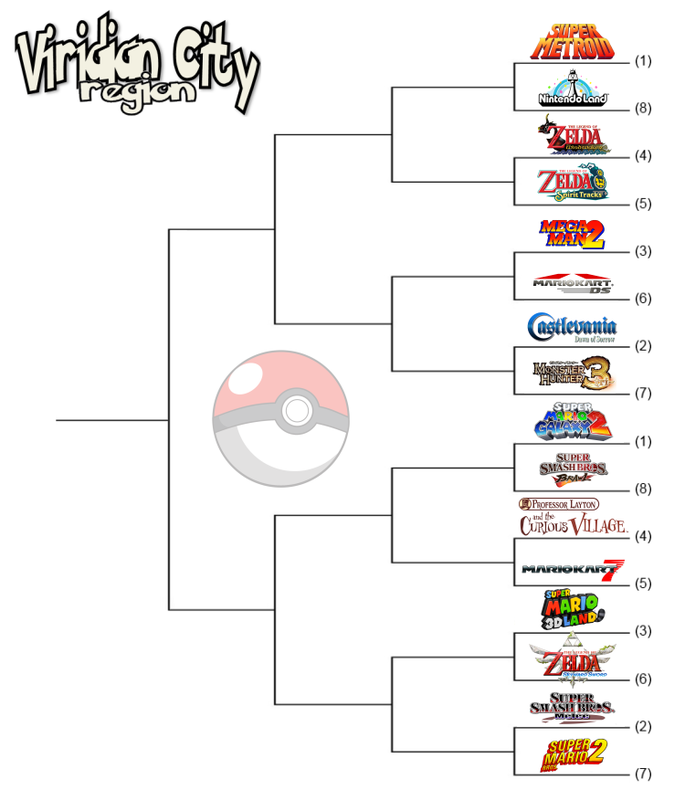 I see Super Mario Bros. is listed twice, against Monster Hunter Tri and The World Ends With You. Otherwise, I haven't noticed anything else wrong quickly glancing through it. Aha thanks. I put that in twice instead of Dawn of Sorrow. I'll put Dawn of Sorrow against Monster Hunter rather than having a DS/DS battle. Oh, thank God. I thought this was going to be a terrible basketball thing. Sweet! Thanks man, once I get home I'll replace my crappy one. If you wanna do all of them, all the better! Sure, I'll add them to my above post. Are we voting for the games that we LIKE more or that are BETTER? Yeah! 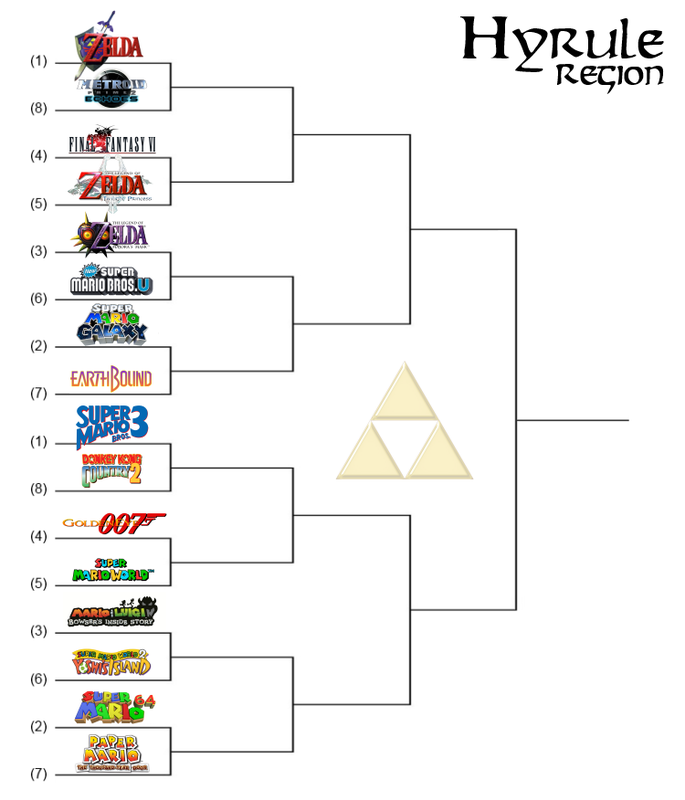 Ocarina of Time wins again! Why perpetuate an outdated naming convention? It's never the wrong time to declare Ocarina the best. Might as well just call it Biohazard 4, too. A box from 20 years ago? You aren't exactly refuting the 'outdated naming convention' argument. 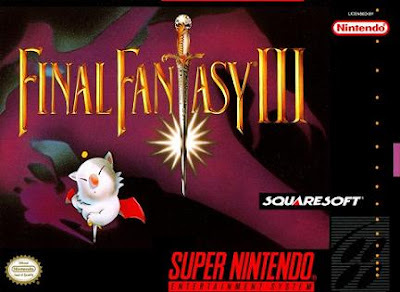 The game was known as Final Fantasy III when it was first released in North America, as the original Final Fantasy III had not been released outside of Japan at the time. However, most later localizations used the original title. As for 'Biohazard 4', did they rename the game in the from Resident Evil back to Biohazard in the West whilst I wasn't looking? I'm fairly certain they didn't. ..ALL the games are from 20 years ago. Its in the SNES section, ugh. "MOST" localizations; not the SNES version, the one which we're using here. If it was "PlayStation March Madness," I'd understand. It isn't. Well if you want to live in the past, that's your business. In the meantime I think this is a spectacularly stupid thing for you to be mad about. Par for the course though I guess. Great job on the bracket. Seeing the logos lined up side by side makes the whole thing so much more stimulating and interesting to look at. Yeah, I didn't mean to sound cynical. It'll be fun to see the match ups along the way. 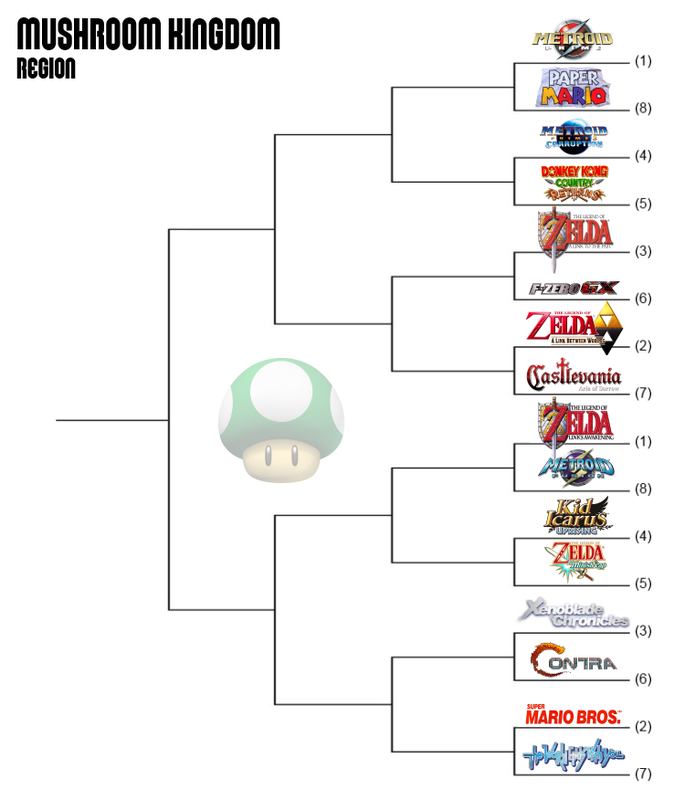 Screwed by random chance: Earthbound (vs. Galaxy), F-Zero GX (vs. LttP). Favorite? Chrono Trigger vs. Pushmo. Just seems like a funny matchup to me. Minish Cap is good, but even coming from a mega-Zelda fan, I would unequivocally declare Uprising to be the superior game. Me too. But Uprising is a controversial game. I'm curious to see if the folks who love it will outweigh the ones who don't - particularly with the usual Zelda bump mixed in. Yay, it just started and we're already arguing about Final Fantasy naming! Looking forward to DKCR vs. MP3. Retro vs Retro!